Just a note for anyone travelling up to Round 4 of the XC NPS Hosted by MADMTB. Course taping will begin on Saturday morning by the MADMTB trail crew. We will have almost all of the course taped by that evening. We will NOT be closing off the trail centre trails until Sunday morning. If you are practising the course on Saturday, we would advise avoiding the trail centre sections (they are only climbs anyway!) until Sunday morning when the trails are closed for your use. If you do decide to ride the trail centre trails, please exercise extreme caution as there will be riders coming down it. Also, the XC descent crosses the trail centre trail numerous times so please slow down and/or stop before crossing the trail centre trail. All for your safety and enjoyment! 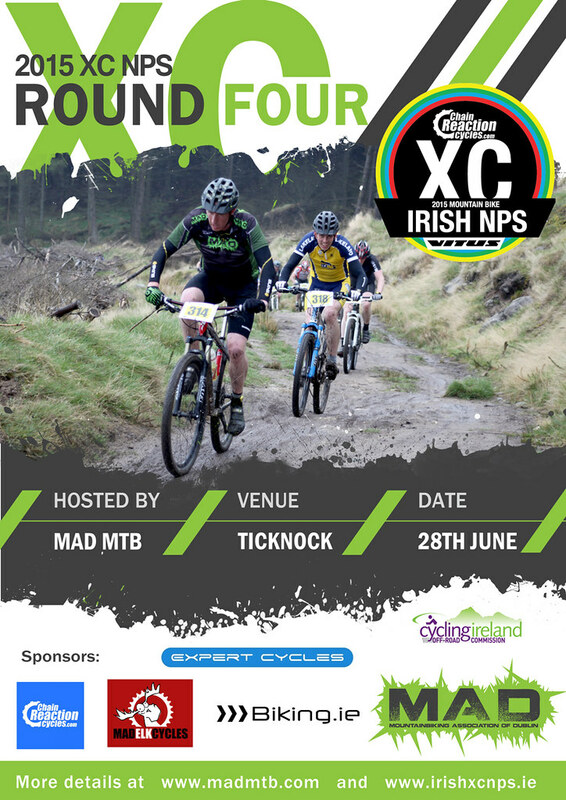 Yay, we get to host a race again, and on our home ground of Ticknock! We are also putting a call out for volunteers to marshal this event.